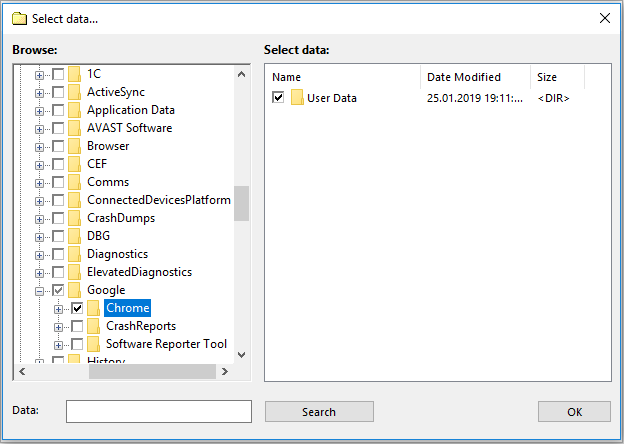 Google Chrome backup tool must keep user-related settings and data like favorites, passwords and history from different perils such as system crash or virus attacks. Handy Backup can serve as Google Chrome backup software, by backing up its settings folder. Why You May Need Google Chrome Backup? Both in Windows and under Linux, Google Chrome (or its open source clone, Chromium) can also serve as default browser, containing a user environment consisting of favorites, bookmarks, cookies, passwords etc. A user may have a need to keep a copy of this environment. Why to use Google Chrome backup bookmarks? The bookmarks are list of favorite websites marked by Chrome. Therefore, you may feel a need for Chrome favorites backup, to keep intact your collection of bookmarks, for example, when migrating to other computer. When allow Google Chrome backup deleted history? You can clear a history or wipe some website out of it just by mistake, or rethink about clearing these pages out of memory. Backing up a history allows you restoring a list of all the websites visited. Where to force Google Chrome backup passwords and cookies? Chrome often stores passwords for websites where you registered. When you are migrating or renewing your system, it is a nuisance to restore these passwords manually, so just backup cookies! Other Chrome settings backup. You can also save different other settings, such as extensions, created or modified as a part of a personalized user environment. Restore these settings when you need it, to upgrade your bare fresh Google Chrome to a comfortable personal workspace. Google Chrome backup with Handy Backup is simple. Just save a subfolder located in a current user data folder and containing all Google Chrome data. The “%username%” here is a name of a current user, as well as a name of a folder of this user. Note that for Chromium, a clone of Google Chrome, you can select the appropriate name by substituting a phrase containing “Google Chrome” to a word “chromium” in the file path. Use the “Computer” plug-in to backup Google Chrome data, in a junction with any storage plug-in (as an example, you can backup Chrome bookmarks to Google Drive). For detailed instructions about creating and managing a backup task, please see the User Manual. Backup Google Chrome extensions, favorites and passwords with a Standard edition, which has a capability to save your Chrome data on any modern storage device! Free 30 days trial! 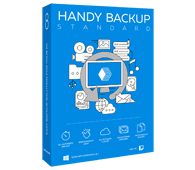 Handy Backup utility provides Google Chrome auto backup and restoration without much interference from a user. 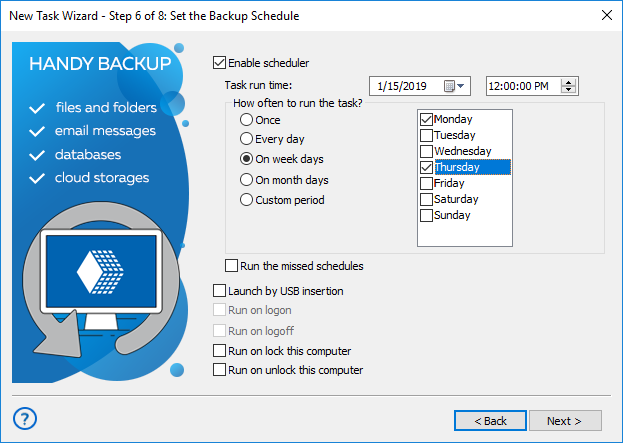 You can schedule your Chrome backup task by a period, as well as perform it manually when a need emerges, to guarantee total backup of your crucial Google Chrome settings. Note: Handy Backup stores all backup data in native formats unless you implement compression and/or encryption for these data. Therefore, you can find an item or a setting you need on a backup folder and open or restore it manually with any file browser, without complete restoration of Chrome data. Assign your Google Chrome backup tasks to Handy Backup, a fast, simple to use and reliable all-in-one backup solution!